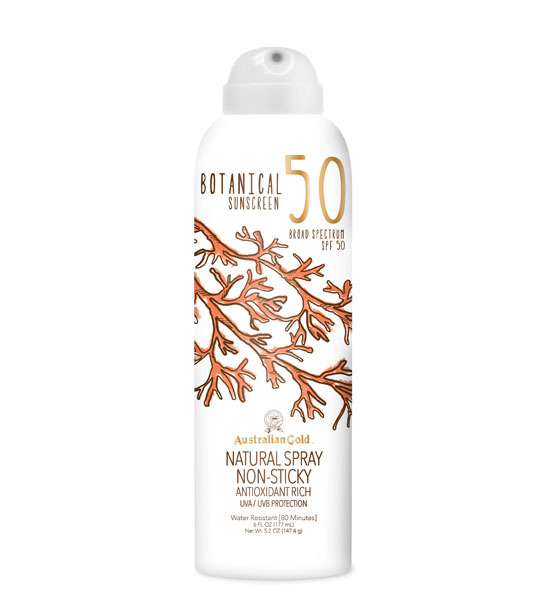 The Australian Gold® Botanical SPF 50 Spray is more than just powerful sun protection – it’s gentle care for your skin. This natural sunscreen spray delivers a refreshingly luxurious, powdery-clean feel in a convenient 360° continuous spray. Rich in vitamins and antioxidants from native Australian botanical ingredients, it allows you to enjoy the sun your way, protected from both UVA and UVB rays, and water resistant for up to 80 minutes.